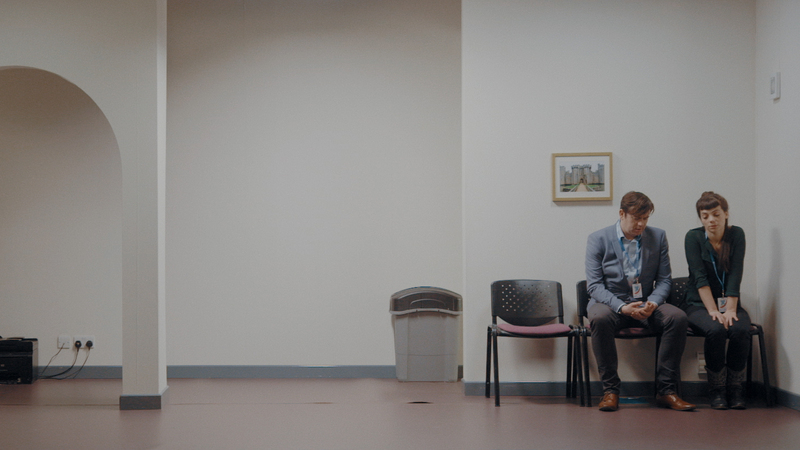 Jerwood/FVU Awards | Going, Gone. The theme of Going, Gone was originally chosen to coincide with Britain’s planned departure from the European Union, but instead the exhibition comes at a time when heated debate surrounding Brexit goes on and on. These two new works reflect on the anxieties of our recent past, our turbulent present and our uncertain future. For The First Baby Born in Space is a twin-screen projection by artist duo Webb-Ellis. A despatch from the immediate present that is directly addressed to an indeterminate point in the future, it gives voice to some of the emotions and experiences of a generation of young people who have had little say in the dramatic political events unfolding around them or in the mounting ecological threats that the planet is facing. 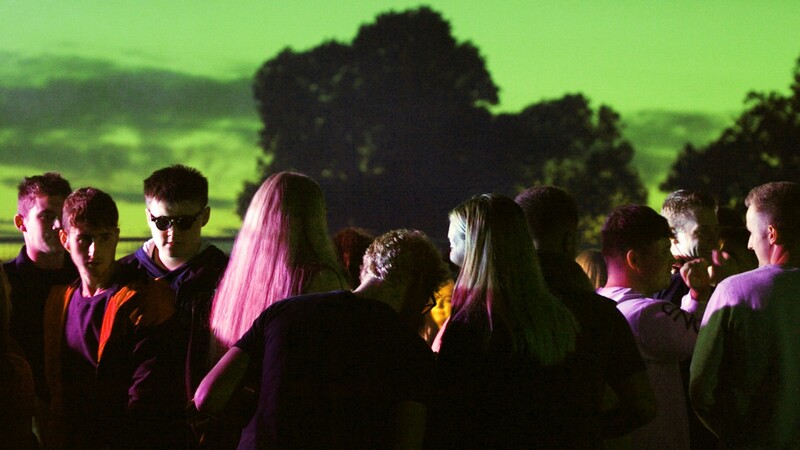 Featuring a group of teenagers from the artists’ home base in Whitby, Yorkshire and elsewhere, and filmed over the course of the extraordinary long, hot summer of 2018, the piece highlights some of the golden moments of childhood: fairground hangouts, late-night raves, conversations under the stars. But it also evokes the darkening mood of a time that is rapidly coming to an end. Noting how the teenagers’ coming of age coincides with the phenomenon of a country in chaos and in flux, the piece captures a wider feeling of turbulence and upheaval, rippling through fidgety bodies and anxious minds, while reminding us also that youth is so often a source and a mainstay of hope.